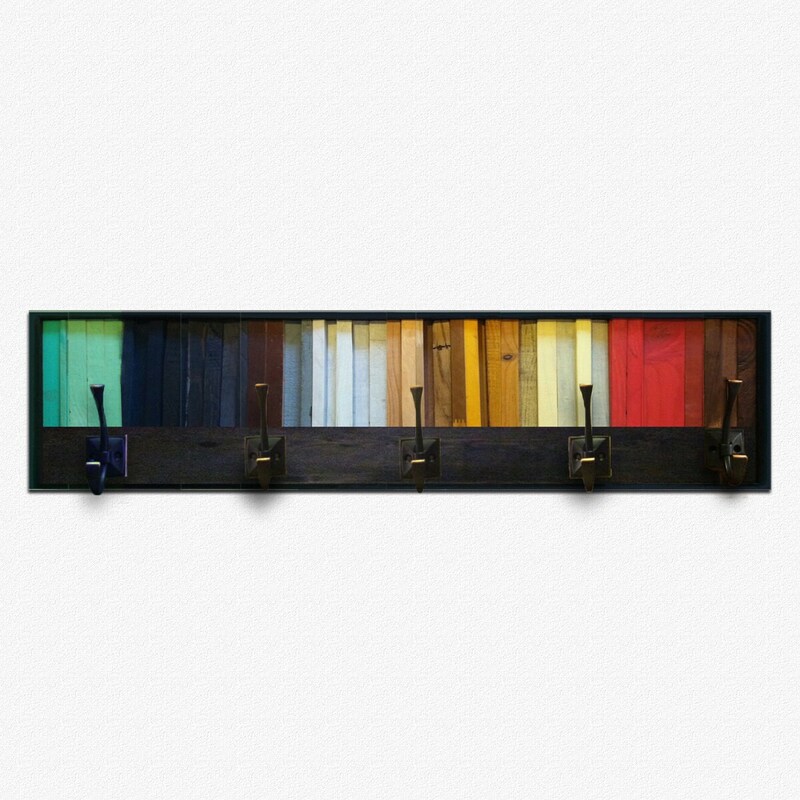 Coat hook is made with a hand picked mix of repurposed, reclaimed, and new wood, then painted with wood paint that is partially transparent for a more weathered and rustic look and finished with a UV protective varnish to preserve the natural beauty of the wood. The frame is stained dark espresso and is attached around the sides. Five hooks are pre-drilled and shipped detached for safer shipping. Easy assembly for all your hanging needs.